We are an innovation consultancy devoted to tangible innovation. We have been around since 2000, and were founded by Finn Kollerup. You want to create tangible innovation that is anchored in relevant customer needs – consider a FORTH Innovation Project. You want to create awareness and increase knowledge about innovation in your organisation – hire Finn as a Keynote Speaker, or have an Innovation Event. 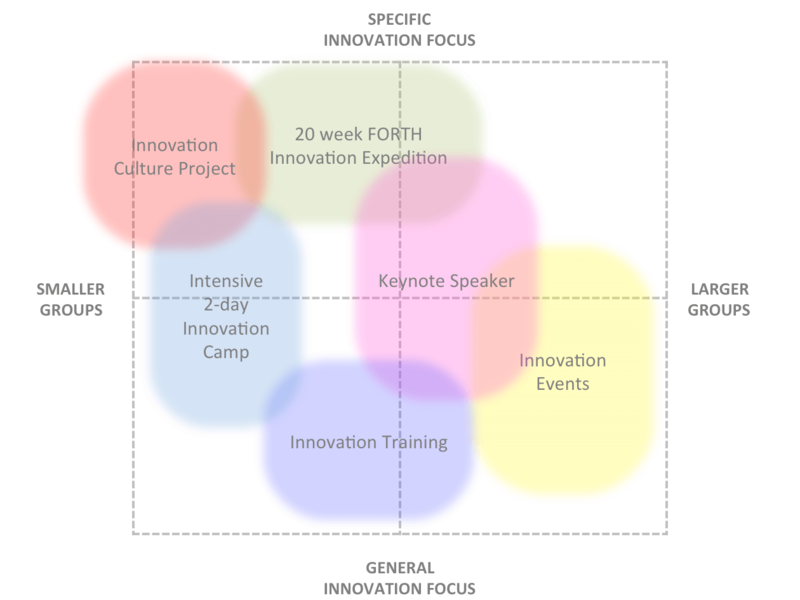 You need to turbo charge your project group with the latest innovation tools – participate in an Innovation Camp. You want to develop a more sustainable innovation culture in your company – create an Innovation Culture Project. You want to learn new innovation methods, to improve your innovation capability – consider an Innovation Training Program.